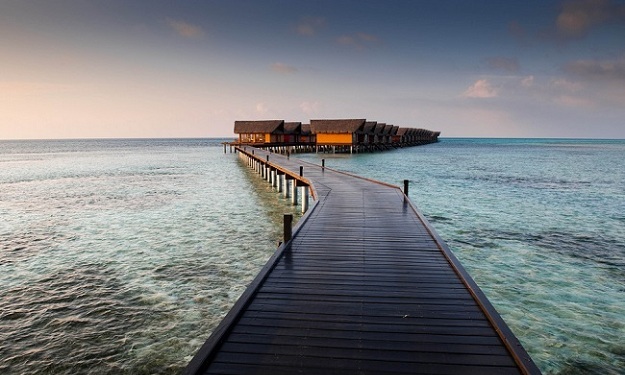 To realize your dream holiday getaway, visit the Islands of the Maldives. Luxury Ocean Villas flanking the pristine beaches of the resort's enticing land will be your home on this tropical paradise. 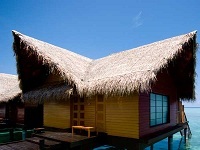 Walk along a dark wooden causeway into the enticing waters upon which lay the distinct thatched roof Ocean Villas. Featuring wooden exteriors with modernist interiors, each retreat is complimented by bright colours and contemporary design. Being among the finest Maldives Villas, the resort features modern amenities with all encompassing views of the open sea along with direct access stairways. 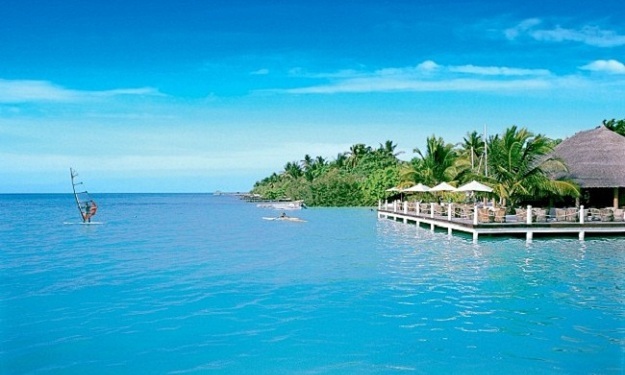 You will feel the urge to bask in the clear waters for hours. Step out of your plush king sized bed and sink your feet into the warm water for an invigorating morning swim, then find the perfect spot on the white sandy beach to soak up the sun. As its name suggests, the Beach Villas by Adaaran Select Hudhuranfushi are located along the outline of the atoll with prime beach frontage. 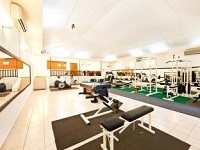 They offer convenient access to the beckoning sea and are within easy reach of the hotel facilities. 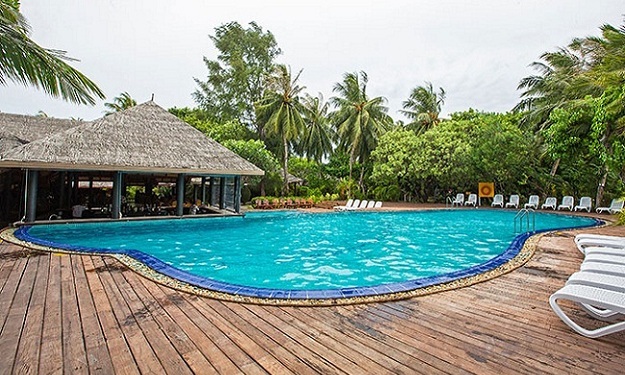 Equipped with a variety of modern amenities, these Villas present spacious accommodation options for guests spending their holiday at Adaaran Select Hudhuranfushi. All luxury Beach Villas are equipped with contemporary amenities and elegant furnishings and décor complimented by tropical themes. Splendid interior designs complement the amber hues of the breathtaking sunsets that greet you at dusk and will no doubt be the highlight of an ideal day in paradise. 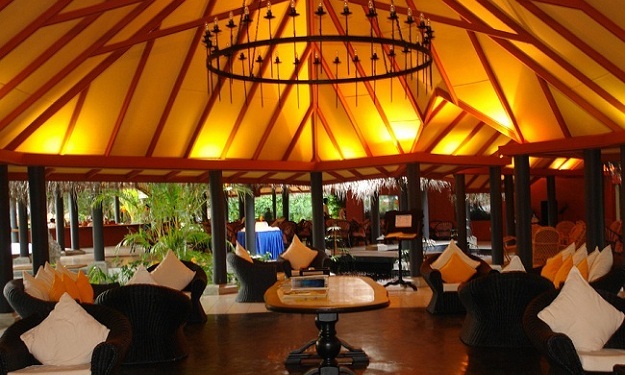 Garden Rooms are located throughout the island with convenient access to the hotel facilities. 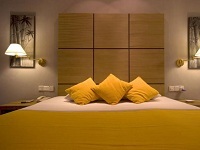 Even though these rooms lack beach front view, they are equipped with a variety of modern amenities. 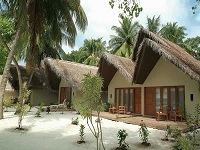 Garden rooms offer spacious accommodation being one of the best Maldives family resorts. 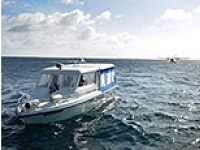 North Male Atoll provides a great variety of scuba diving, including reefs, caves, channels, drop-offs and wrecks. The atoll sees plenty of corals and fish life and is also a good area for large pelagics, with frequent sightings of hammerheads, grey reef sharks, eagle rays, manta rays and whalesharks. A shipping route through one of the channels has also left a few wrecks for future generations to enjoy as beautiful artificial reefs. 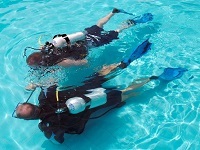 Diving is best during June to October and December to March, as in these months visibility is extremely good. Some of the renowned dive sites located in North Male Atoll are Manta Point, a cleaning station in the south east of the atoll where you can closely observe manta rays as well as octopus, moray eels and whitetip reef sharks. Girifushi Thila is a pinnacle covered in colourful soft corals and masses of schooling fish which are swept in on the currents. Dive through deep blue water and explore the unseen world under sea and experience an unforgettable Maldives water sports holidays. Enjoy the ultimate paddling experience in the sparkling sea waves and experience vivacious Motorized and let your energy get wasted in the beautiful blue ocean in Maldives. Adaaran Select Hudhuranfushi offers unrestricted access to the immaculate beaches encircling the island, best place to visit in Maldives with several excursions are offered to the guest, Morning fishing is among the most preferred forms of unraveling the mysteries in the Maldives. Such excursions can be scheduled upon request. Hear the harmonious tunes of the whispering breeze, listen to it rustle the palms and sweep its blessings on you as you walk to the beach hand in hand. 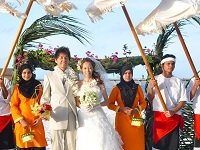 Cast away on the south atolls of this breathtaking archipelago, Adaaran Select Hudhuranfushi is a popular choice among honeymooners and couples who wish to exchange vows or make a renewal of their love to each other.Resorts offer both traditional and contemporary marriage ceremonies and a special package that includes all the necessary elements, leaving you hassle free.There is an air of magic and romance that will envelope you, and it is only our pleasure to make your dreams come true. Perched on a deck overlooking the island’s scenic harbour the Sunset Restaurant offers an exceptional fine dining experience featuring an impressive a la carte menu studded with world class delicacies and views of stunning sunsets and the changing phases of the ocean. Thoughtfully designed to highlight the stunning sunsets this elegant restaurant is ideal for any special occasion. Serving scintillating buffet style meals with a wide variety of food ranging from traditional Maldivian to western cuisines to accommodate the palate of the global traveller. Be amazed at eye catching performances that take place at the action kitchen. 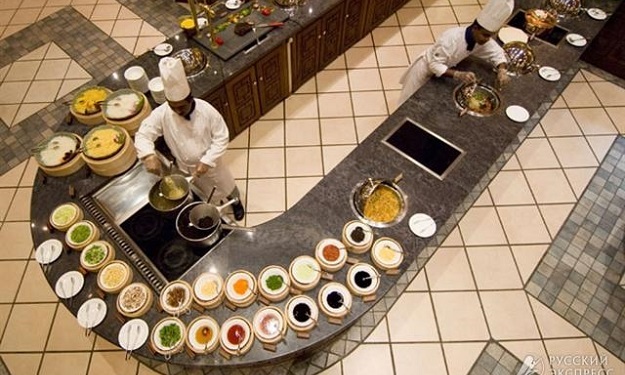 Watch closely as the flames dance around the wok to create a mouth watering presentation. Gather around with your new found friends for a drink by the beach to share some memories and a laugh while relaxing in the Hotel Bars in Maldives. Have a spicy snack while you sip on a glass of red wine or a tongue tingling cocktail. Let the gentle breeze heighten your senses and elevate you to cap off a memorable evening. Behold the captivating views of the horizon as you sample the tantalizing beverage list served at the Lohis Bar. Sheltered by coconut leaves and with the powdery white sand at your feet, discover the perfect location from which you can be graced by the breathtaking sunsets synonymous with Maldives travel. Setting the tone for a quiet drink, the Lohis Bar at Adaaran Select Hudhuranfushi is one of the Best Hotel Bars Maldives which is a finest place for a drink with your loved one.